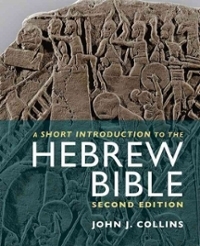 A Short Introduction to the Hebrew Bible 2 Edition Here the erudition of Collins' renowned Introduction to the Hebrew Bible is combined with even more student-friendly features, including charts, maps, photographs, chapter summaries, illuminating vignettes, and bibliographies for further reading. The second edition has been carefully revised to take the latest scholarly developments into account. A dedicated website includes test banks and classroom resources for the busy instructor.